Hockey Opportunity Camp is a proud and active member of the Ontario Camps Association (OCA), and has been since the early 1990s. 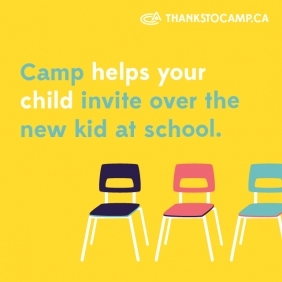 Although the OCA is not a licensing body, it supports, advances, promotes and accredits camps throughout Ontario. Some standards duplicate government regulations, but frequently, an OCA standard is higher. Together, professional camp leaders and OCA members determine all the “best camp practices”. As a self-regulating association, each member is required to maintain an active role in its governance. Each year, HOC takes part in the association’s annual conference, allowing our Directors the opportunity to learn and discuss “hot topics” in the industry and build partnerships with other like-minded camp professionals. In addition, each summer Jeff Johnstone (Assistant Camp Director) and Kevin McLaughlin (Owner & Director) volunteer as part of the Standards Committee. This allows us the opportunity to visit other camps, learn from them, but more importantly ensure they are meeting the industry standard in all areas of their business operation, set out by the OCA. As a parent, choosing the right camp for your child is a difficult decision. It is our hope to inform our parents and campers on the benefits of attending a camp that is accredited by the OCA. Whether you choose HOC or any other OCA accredited camp, you know that the camp is being held to the highest standards in the industry.